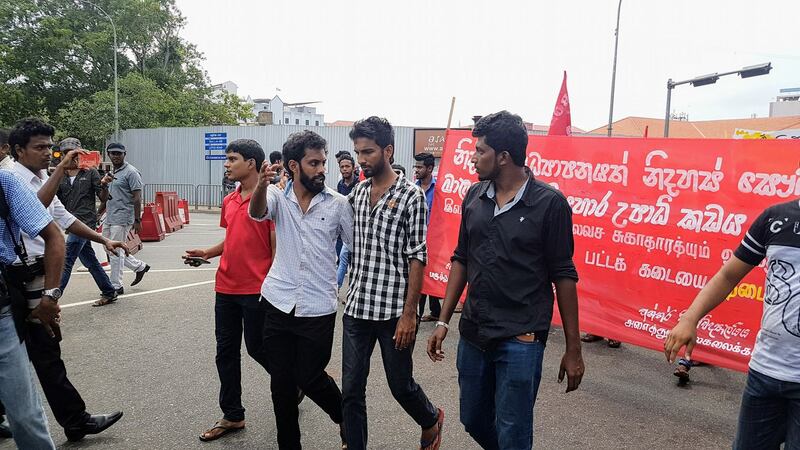 Ten students were injured and had to be admitted to hospital due to the brutal police attack on the agitation held by university students to demand the government to abolish SAITM illegal medical degree awarding institute at Malabe and to find solutions for issues in the education sector. Ten more students have been arbitrarily arrested by the police say reports. Riot police had been deployed to stop students’ protest march and they were seeing pursuing students attacking them with tear gas. While students were using taps in Viharmahadevi Park to wash their eyes to get relief, authorities took steps to stop the water supply to the Park. Students in Viharamahadevi Park were subjected to tear gas attacks by the police on more than five occasions today evening. Even the public that was in restaurants and in the park was affected due to tear gas attacks as police directly targeted restaurants and toilets in the park say journalists who were there to cover the agitation. Even small children were not spared from the tear gas attacks. 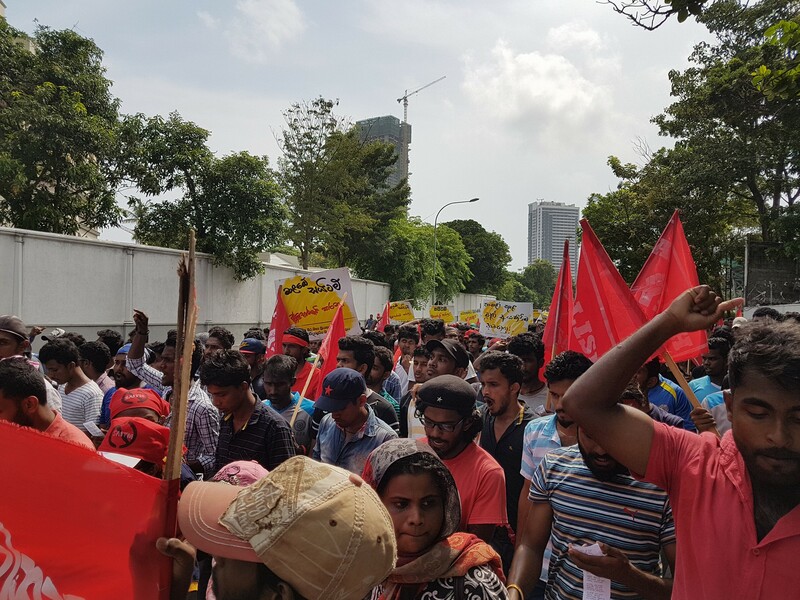 Students say they would continue their struggle to get SAITM illegal den abolished whatever suppression the government carries out against them. 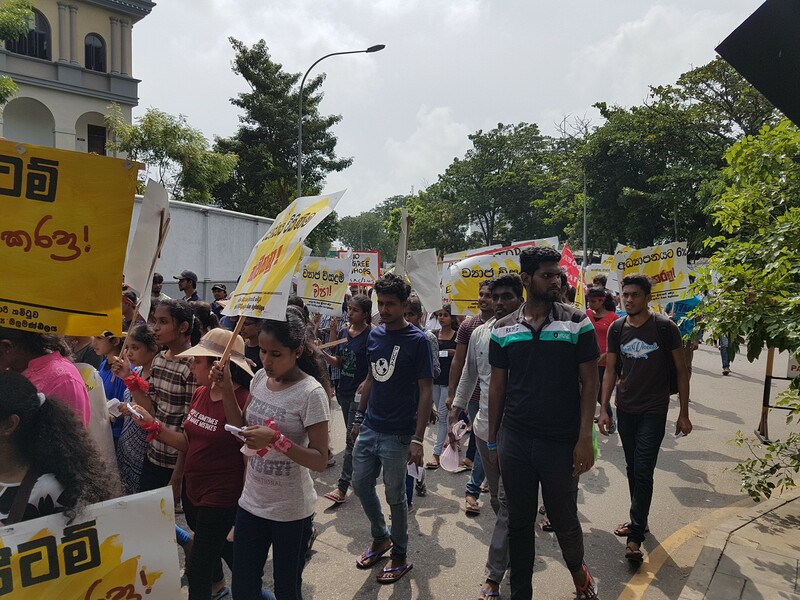 The Colombo Fort Magistrate yesterday (16th) issued a stay order preventing the Inter University Students’ Federation (IUSF) and Inter medical faculty students’ action committee from carrying out the protest march demanding solutions for educational issues and to abolish SAITM illegal medical degree awarding institute at Malabe that was to be held today and tomorrow. However, IUSF sources say they have not received any such order and eh protest march would continue as scheduled. 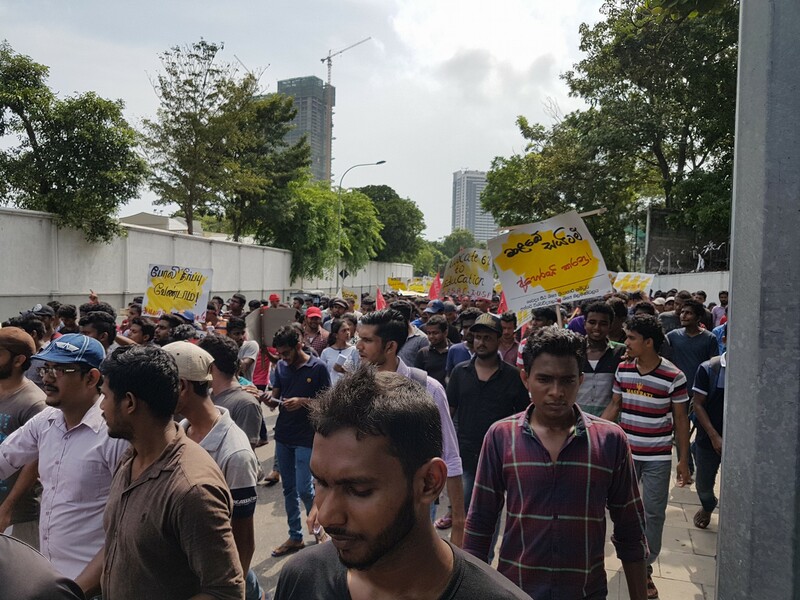 The strike action based on three grievances that commenced and temporarily stopped would have to be recommenced without any notice states the Collective of Ceylon Petroleum Corporation (CPC) Trade Unions. 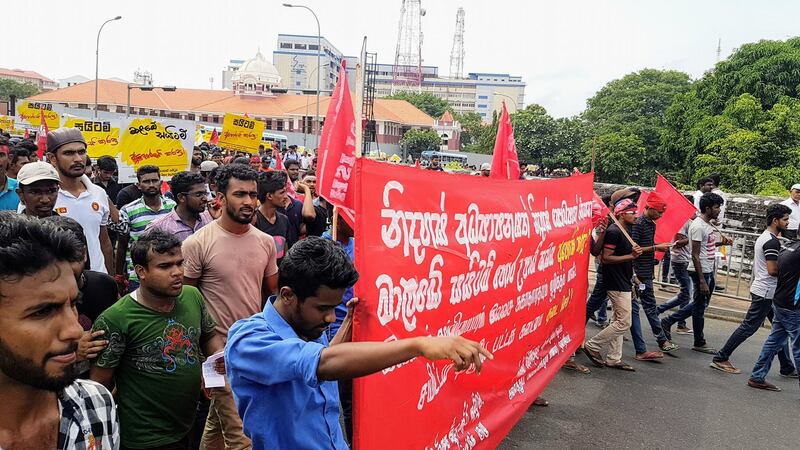 The continuous strike action launched on 24th April was abandoned that night due to promises made at a discussion participated by Prime Minister Ranil Wickremesinghe and several ministers. 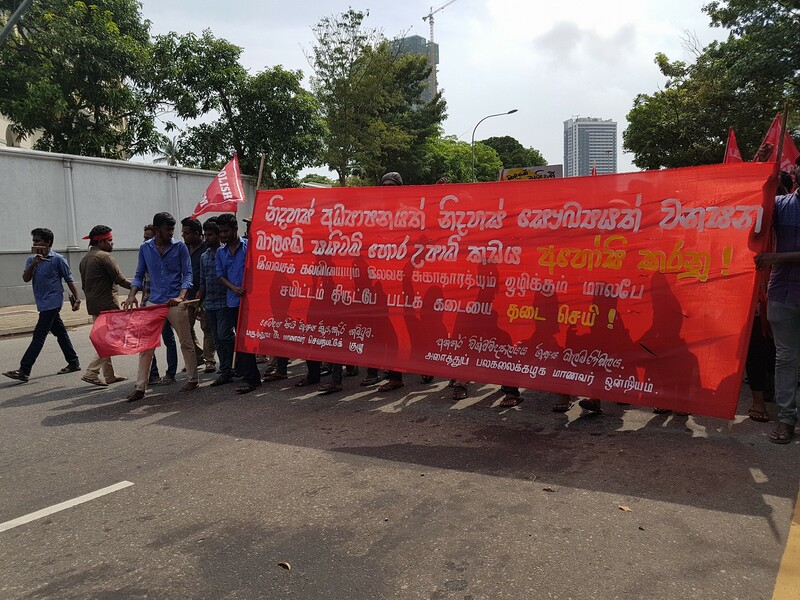 The promises were given by the Prime Minister in writing says the convener of the Collective of Ceylon Petroleum Corporation (CPC) Trade Unions D.J. Rajakaruna. A letter sent by Mr. Rajakaruna to the Prime Minister states a letter sent to him with the signature of the Secretary to the Prime Minister stated what was signed with India was only a MoU and the cabinet has decided that cabinet approval had to be taken for legal agreements. 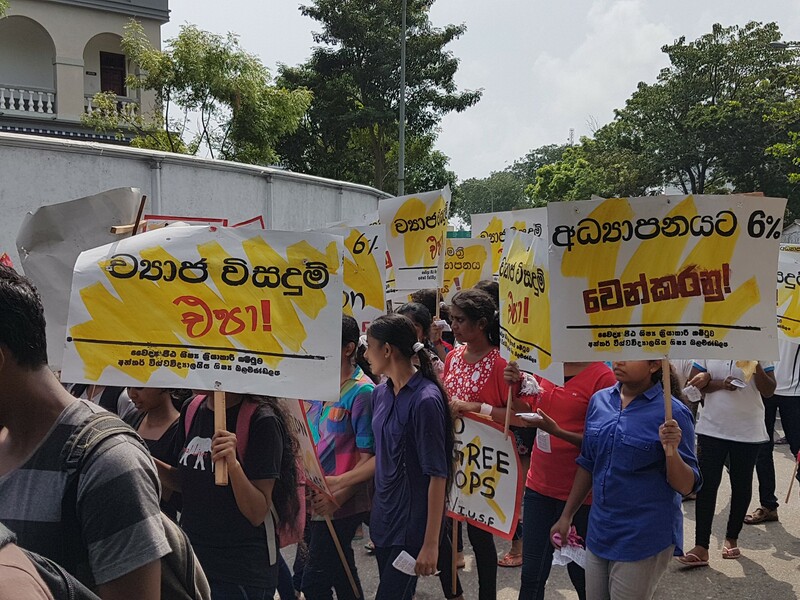 However, when drawing attention to the agreement reached between the Prime Minister and India, it is obvious that the Prime Minister has acted contrary to the agreement reached by him and the Collective of Ceylon Petroleum Corporation (CPC) Trade Unions points out Mr. Rajakaruna in his letter to the Prime Minister. He, in the letter sent to the Prime Minister, states when considering the time frame of the implementation of the agreement it would be possible that moves contrary to their demands would be carried out and if measures are not taken to implement their demands within next week, the strike that was abandoned would be carried out without any prior notice.